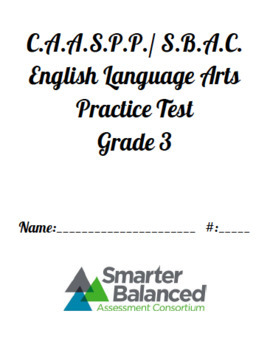 These resources are intended to serve as a practice for the Grade 3 CAASPP/SBAC Math and English Language Arts practice tests. 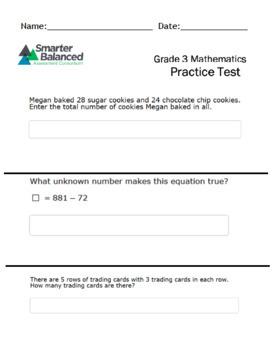 In my classroom, my students complete the practice tests with a partner or on their own. We then go over the answers together and practice inputing them into the online system. As we work together, I take the time to go over the variety of tools that are available on SBAC, as well as how to pause/save/move ahead/review/etc. This is a great way to practice for the real tests that take place at the end of the school year, and it helps students to easily transition from paper-and-pencil work to the online component. These can also be sent home as homework for extra practice.